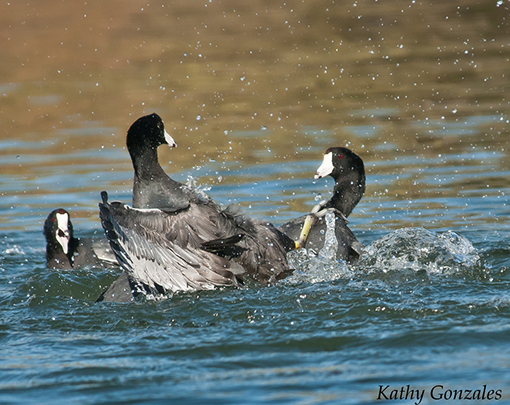 Birding Without Barriers: Coots Gone Wild! 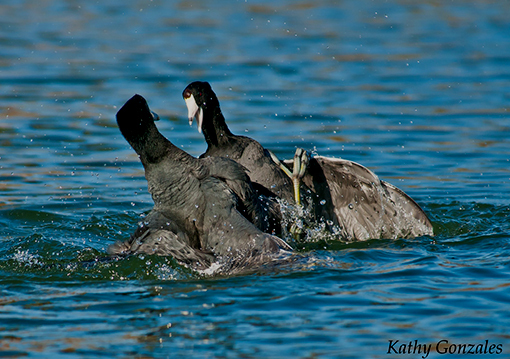 A two-footed stranglehold combined with a sharp left-winged smack! 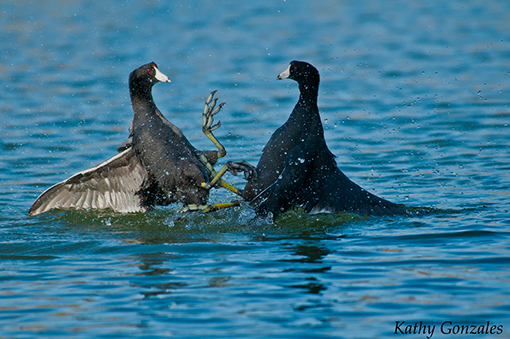 The referee calls "fowl", someone is swinging below the belt! 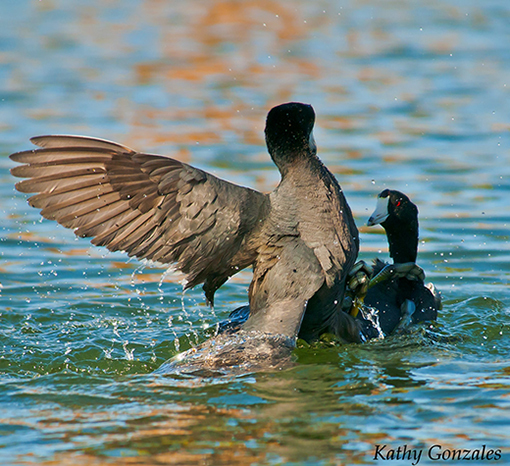 Will both fighters take a dive? They're back on their feet! 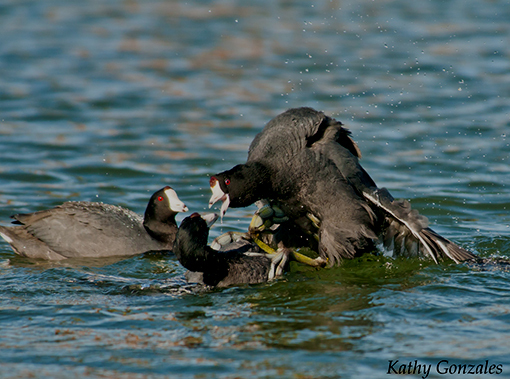 for capturing and sharing these awesome photos! Thus we see the true evolutionary value of those big lobed toes! 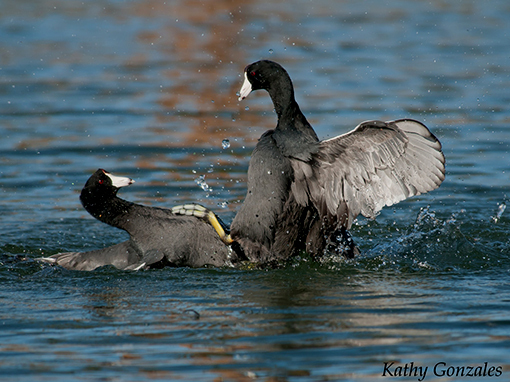 Bludgeoning other Coots into submission!